It’s all about growing the game. 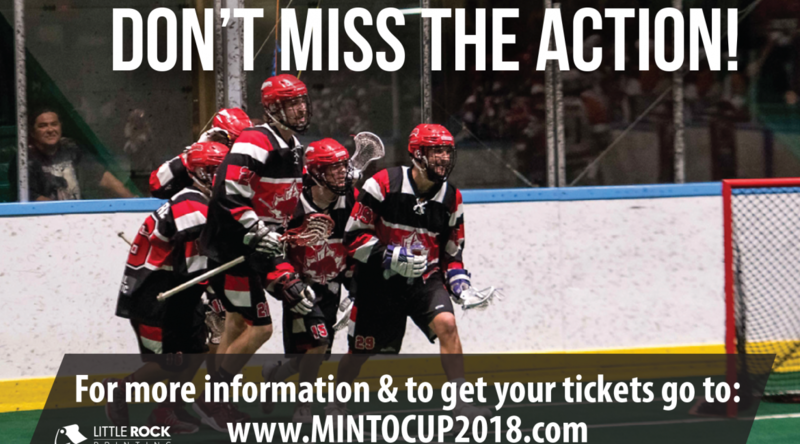 The Roughnecks are pleased to announce our sponsorship of the 2018 Minto Cup, Canada’s national Junior-A box lacrosse championship tournament. Many of the tops players aged 17-21 from across the country will compete in the event at Max Bell Arena from Aug. 16-26. As Alberta’s only professional lacrosse team, the Roughnecks have played an important role in developing the sport in the province. Through the sponsorship of the 2018 Minto Cup, we will continue to support young lacrosse players and the growth of the game. “It’s what we’ve been doing since we got here,” said Riggers GM Mike Board. “Through our foundation, sponsoring the Canada Day Tournament for the minor kids, and getting involved at that grassroots level. “The Minto Cup is something you want to be involved with: it’s lacrosse, it’s in Calgary, and it’s a high level of lacrosse. It’s a natural that we partner with the Okotoks Raiders and Calgary Mountaineers to help them out. To learn more about the Minto Cup click here.